Falls can have long-term health effects. Industrial & construction jobs are notorious for deadly accidents, particularly when a construction site employee falls from up high. 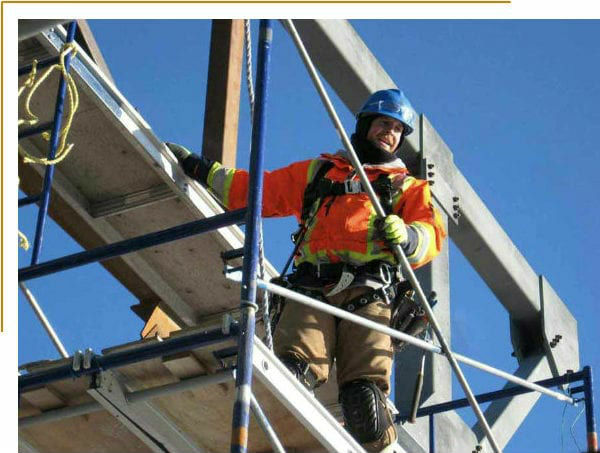 We have injured construction workers come to us often, with a back injury, spinal cord injury, traumatic brain injury and broken bones, usually from falling off upper floors of a building under construction. According to the U.S. Bureau of Labor Statistics, in 2014, 80% of fatal falls in Ohio took place in the construction industry. Unlike typical slip & fall accidents, which usually take place on slippery surfaces, falls from heights are often due to insufficient safety procedures, broken flooring, faulty equipment, or poor or outdated safety gear. Construction workers fall from buildings due to high winds and improper safety training. In other cases, a building or wall collapses and workers fall into dangerous debris, broken glass and possible toxic dust and fumes. If you took a fall due to an elevation-related hazard on a construction site, we will meticulously defend your rights in a workers compensation case and, if needed, during your workers compensation hearing.